Computers are used in each and every field like Banking, Business, Education, Marketing etc. We store huge amounts data in our computer. Hard disk is electromagnetic device which is used to store data in Computers. There are many reasons which result in hard disk failure including system crashes, power failure, accidental damage of data, damage due to virus etc. Due to these crashes there is a probability of losing our valuable data. So, Hard Disk Recovery is necessary to recover or regain our lost data. This data may be any type or file extension, and be located in any directory or destination. With the right kind of data recovery software for pc, we can easily recover any file. This is because files are never deleted. The magnetic sectors of memory are just made available to be rewritten again and again. Hence, data recovery software read these memory sectors and recreate all your lost files. So, if you have lost your data and looking for a recovery software to recover your files, we have looked up the best ones for you. 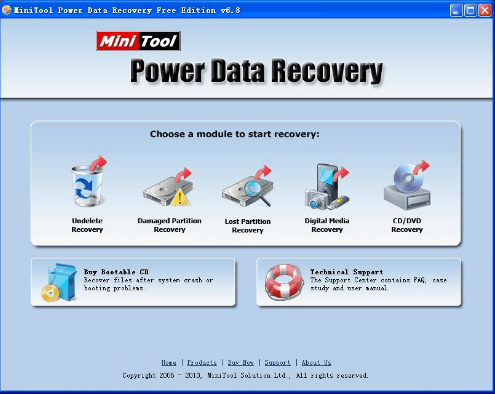 List Of Best Data Recovery Software For Windows/MAC PC. 1. EaseUS Data Recovery Wizard. 3. 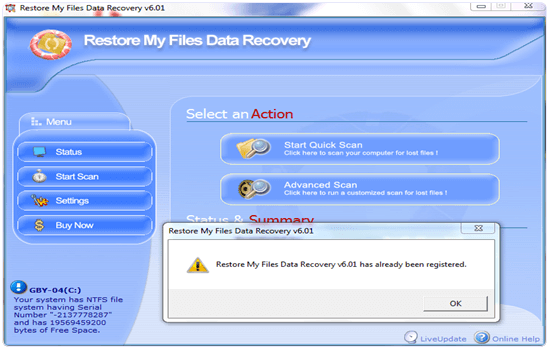 Restore My Files Data Recovery (For Windows Only). 4. Undelete Plus (For Windows only). 5. 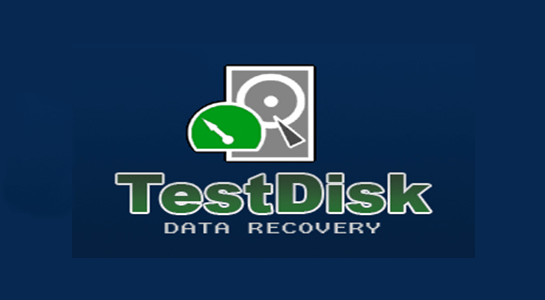 TestDisk Data Recovery ( For Windows/Mac/Linux). 6. 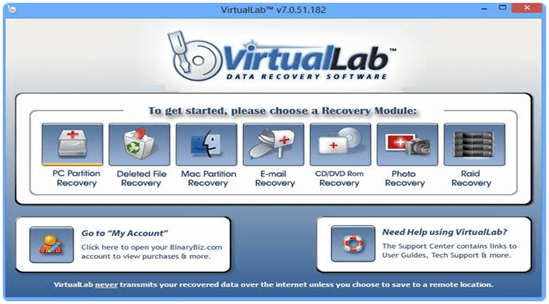 VirtualLab Data Recovery (Windows). 7. Stellar Phoenix Windows Data Recovery – Professional. 10. MiniTool Partition Recovery Free. 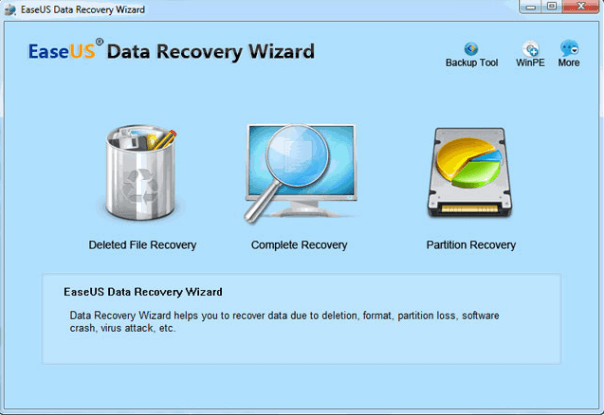 EaseUS data recovery wizard is the best data recovery software for windows and Mac. It supports all the versions of windows and Mac and is very easy to install. The tool is best in what it does and recovers all kinds of files like images, videos, documents etc. The data recovery process is fairly simple and very effective. It offers three main features. The first one is “Deleted file recovery”. The second is “Complete recovery” and the last one is “partition recovery”. All these powerful features combine together to make EaseUS data recovery software a complete tool. 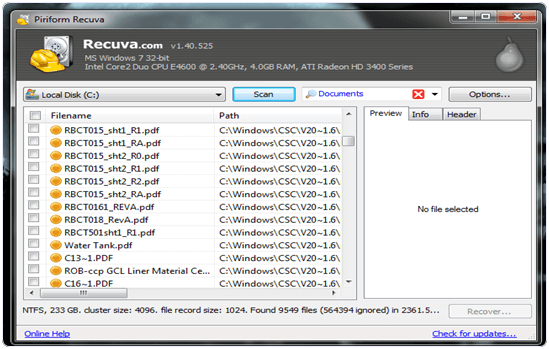 Recuva Data Recovery is another perfect example of a Data recovery software. It is know for it’s user friendliness. This is due the auto wizard. This wizard helps recover files when the user isn’t sure about where the file might be and has no idea how to recover them. The step by step guide helps to narrow down the search for images, documents, music, videos and much more. You can also set a possible location to speed up the process. Where as on the other hand, if you know what you are doing, you can dive into the manual mode straight away and start searching for the file you are looking for. Restore my files is a simple, portable yet very effective data recovery tool available for windows. It can be used with all versions of windows over any file system. The software tool is well known for its quickness and portability. It may lack some advance features but it is very efficient in what it offers. It has basic search features and performance is quite good as well. Undelete plus is a paid tool. But it has been declared a freeware due to its “limited time offer” that has made it free since ages. It is compatible with FAT & NTFS file systems. It also ranks files in search according to the damage and tells the probability of recovery. Undelete also lets users set search filters based on type of file, time, location, and many more. Test disk data recovery is another well known name under data recovery software. But this tool is for advanced users. It is a command line tool and hence users need to know the commands from the documents in wiki. Once that is done, you can not only recover your deleted files, but there are tons of features too. You can recover boot sectors, locate EXT2/EXT3 backup sectors, fix FAT tables, find lost partitions, fix MFT, and much more. Virtual Lab data recovery is a tool that surprised us. It does all the usual stuff of file data recovery, but what surprised us that it supports all the Macintosh partitions as well along with FAT and NTFS. The interface is very clean and easy to use. You can download the trail version which scans for files and they can be recovered via pro version available for $39.95 only. 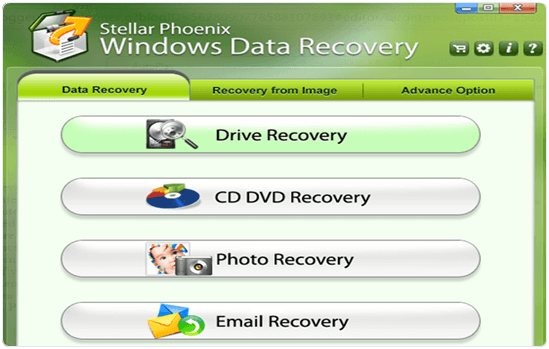 Stellar Phoenix windows data recovery is yet another tool for data recovery. It offers dedicated modes for data recovery from various locations and drives as well as the type of files. Stellar Phoenix has a very unique and helpful feature of creating a drive clone to help recover data and reduce further data loss. It also gives a detailed analysis of the health of various data sectors of the disk. The professional version of Stellar phoenix costs about $99. DMDE is a data recovery tool that specialises in large capacity hard drives. The tool supports upto 2TB of storage drives which is unbelievable. 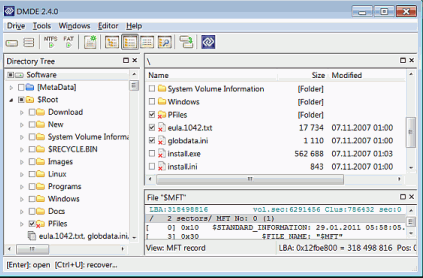 It also offers a very easy to use GUI that has a file explorer to find and restore deleted files. PhotoRec is a recovery tool that is usually used to recover deleted and lost photos from all kinds of storage media. It supports 100s of formats and tons of storage file systems. The most highlighted feature is that is is lightweight and can be used on portable media and even other computers. Minitool Partition Wizard is a saviour for those who have lost entire drives or partions. This software is the most preferred data recovery software in such scenarios as it specialises in partions recovery when the partition is deleted or the partition header is corrupt. You can also download it from the link below. In conclusion, these are the best data recovery software you can use to recover data from your hard disk. For any help please feel free to contact us or write to us in comments below.